Can’t wait for Parabellum. That katana motorbike chase looks sick. John wick: the animated series. It must be rated M for mature. 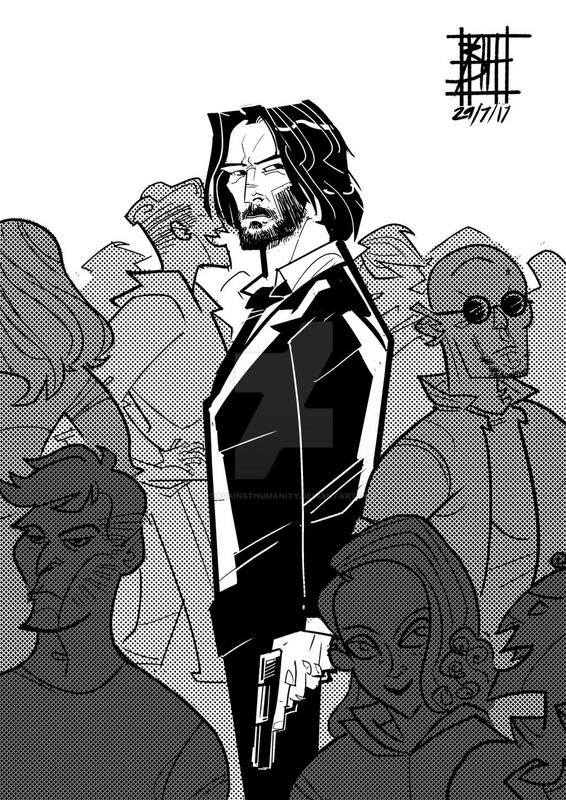 For some reason this makes me want to see a John Wick Cartoon done by Genndy Tartakovsky. Oh, awesome. I finally saw John Wick 2 just yesterday. It's kind of surprising there isn't a comic. ikr! it has all the element of a good fast paced book! DAMN. That is a sweet piece of art! Kinda reminds me of Gendy T's Samurai Jack! GREAT work! Thanks for posting! Is JW2 as cool as JW1? Haven't seen it yet.